Living in New York City, I often see all kinds of tours leading visitors around the city. Some are on foot while others are by bus. Tours offer sightseeing and city history or focus on a particular theme like food or a specific neighborhood. Curious to know which New York City day tours visitors raved about, I checked on TripAdvisor and was surprised to see a company I hadn’t heard of, New York Tour1, tours ranked #1. Over 10k happy visitors had included New York Tour1 in their New York itinerary! 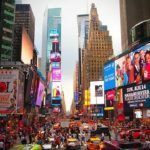 With a little research and planning, I decided I had to see what made New York Tour 1 tours stand out among so many others and share my experience here on the travel blog. I signed up for a spot on their One Day New York City Tour. 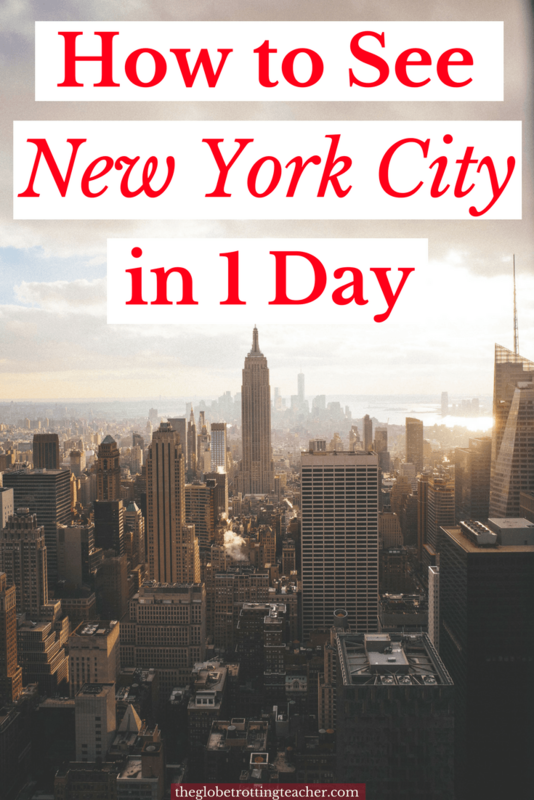 Now, I know you’re wondering can you really do NYC in a day? Of course not. You can’t do any big city in a day. 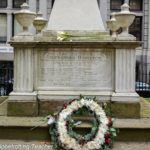 😉 But, as I set off on a cool, sunny, late fall day for this 6-hour New York City adventure, I had no idea how cleverly New York Tour1 would weave together the perfect NYC one day tour. Save this later! Pin this guide to your Pinterest travel board. I met the New York Tour1 guide and group in Times’ Square. I was the last to arrive (with 2 minutes to spare!) and was happy to see there were only 12 people including myself and the guide. One thing you can always count on in New York City is a crowd. Small group size is a major positive. It means less time waiting for everyone to cross streets and catch up. Small groups are also much more able to maneuver the city sidewalks with the least amount of time wasted. 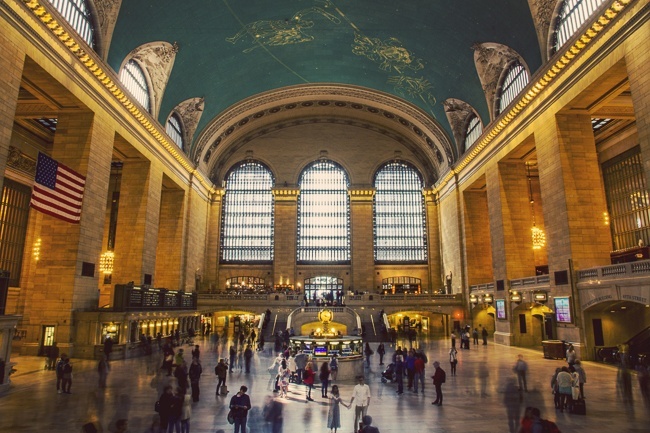 Big plusses when you want to maximize your NYC itinerary! 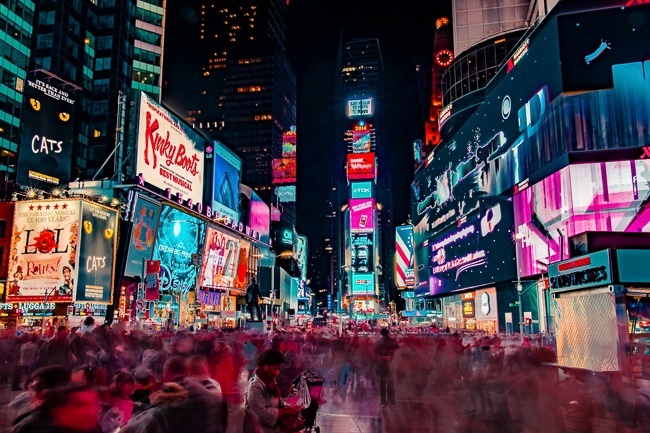 The guide began by talking about Times’ Square, its history starting back when the Native American Lenape lived on Manhattan to how it came to be called Times’ Square. He shared some fun facts about the digital billboards and also the craziness of New Years’ Eve. Having lived in New York City for a LONG TIME, I know a lot about the city and its history. But, even I didn’t know what happens from 11:57-12:00 midnight every night on the Times’ Square billboards! (No, I’m not going to reveal all the goods! You’ll just have to take the tour and find out. 😉 ) Looks like I need to update my list of 100 Things to Do in NYC. As we explored midtown, our New York Tour1 guide brought us to popular sights like Radio City Music Hall, Rockefeller Center, and St. Patrick’s Cathedral. Along the way, it was clear the guide was an expert on New York City. 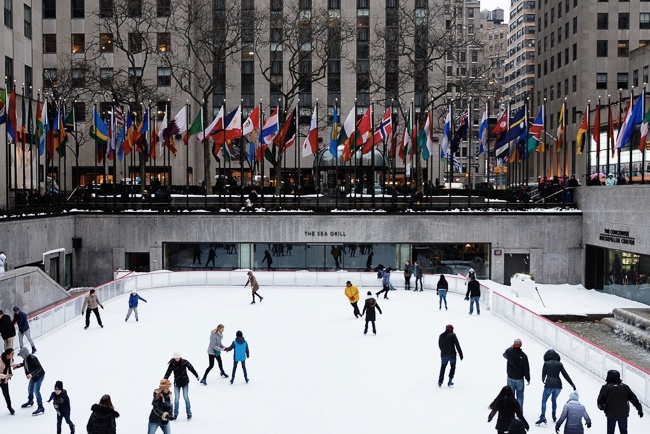 He gave interesting facts about many things including the diamond district and how the Rockefeller Center ice rink was only meant to be a 1-year attraction to get people to see and shop at the stores underneath the plaza. 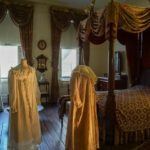 But, mixed in with these tidbits, the guide added historical details about New York City and what it was like during different times in history, like the Great Depression. Now, as a local, I’m comfortable walking a lot of blocks every day. 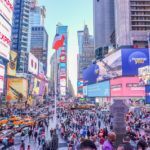 But, there would need to be meaningful stops and breaks throughout the day to balance the group’s need to rest and to maximize our New York in one day itinerary. Our first stop was a 15-minute break at St. Patrick’s Cathedral, a smart stop for several reasons. Some members of the group chose to go inside to see the Cathedral (free entry). Others used the time to take photos of Fifth Avenue and Rockefeller Center. A couple people chose to sit, stretch, take a sip of water. All the while, the guide was available and eager to chat and answer any and all questions. With the whole group back together, we walked south on 5th Avenue. The guide talked about the New York Public Library, Bryant Park, the Chrysler Building (seen in the skyline from our vantage point), Grand Central Station, and the city’s architecture. 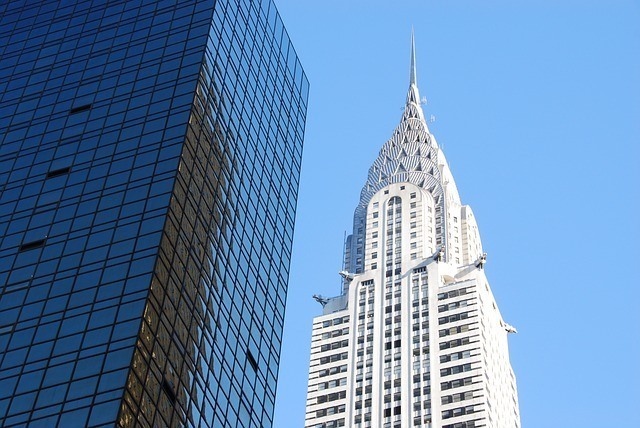 Did you know Mr. Chrysler had the spire constructed for the Chrysler Building in secret just to one-up another skyscraper going up in lower Manhattan to claim the tallest building in NYC at the time?! Or that one of the staircases in Grand Central Station is not original and was built during renovations by re-opening a closed quarry to make sure the stone matched the other staircase?! I may be a New York City history nerd, but it was obvious how interested and engaged the whole group was to learn firsthand about NYC’s famous landmarks. I couldn’t help but notice other visitors nearby snapping photos yet missing key details that would add a deeper understanding of their photos later on. While others took a bathroom break in Grand Central, a few of us had fun “playing” in the Whispering Gallery. It was during this short downtime when I chatted with a couple about the tour so far. They’d just started their first trip to New York City and were so happy to be walking around the city instead of sitting on a bus. As a local, I know my way around NYC blindfolded. But, they loved how the guided walking tour was giving them a sense of where things were in relation to everything else. For example, they didn’t realize how close Grand Central was to Times Square or even to their hotel. I also added the time they were saving by walking as opposed to dealing with city traffic on a tour bus. This would be especially true for anyone with just one day in NYC! The guide directed us all toward the subway lines under the main level at Grand Central. We were heading downtown to lower Manhattan. 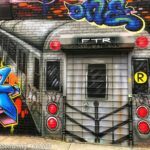 Unless it’s a dedicated midtown sightseeing tour, all top-notch New York City tours must expand out to some of NYC’s other exciting neighborhoods. If you’re not familiar with the subway, it’s absolutely the best way, other than on foot, to get around town. 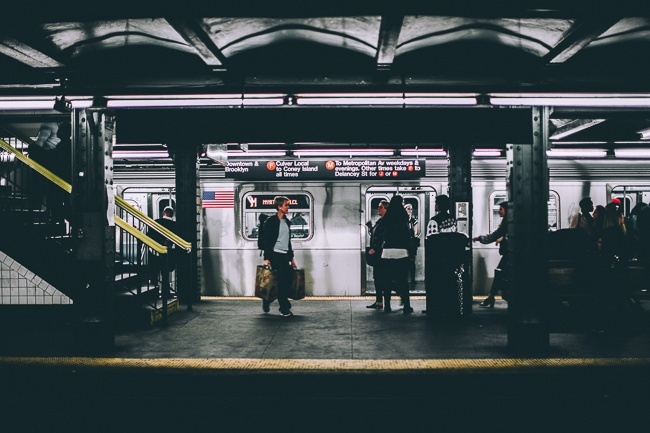 Past tour participants comment again and again on TripAdvisor about how they loved getting around by subway like the locals do and glimpsing the REAL daily life in New York! Not sure how to use a MetroCard or have a question about the subway map? Your New York Tour1 guide is a local who can help all New York City visitors know the dos and don’ts. Coming out of the subway just near Federal Hall and the Stock Exchange on Wall St., the guide talked about the wall built by the Dutch to keep out the British and the Native Americans. The group also learned about the first U.S. Capital building, Federal Hall, and the Stock Exchange. At this point in the day, we were getting hungry and happy to have some free time to sit for lunch before meeting back up just before 1 o’clock. The afternoon began with a ferry ride to Staten Island to pass by the Statue of Liberty. The ferry ride also gave the guide time to talk about New York Harbor now and throughout history. I was struck by how smart the New York Tour1 itinerary was. The ferry ride made perfect sense after lunch, as the boat has seating and bathrooms all while seeing Lady Liberty and getting a perspective of New York from the water. 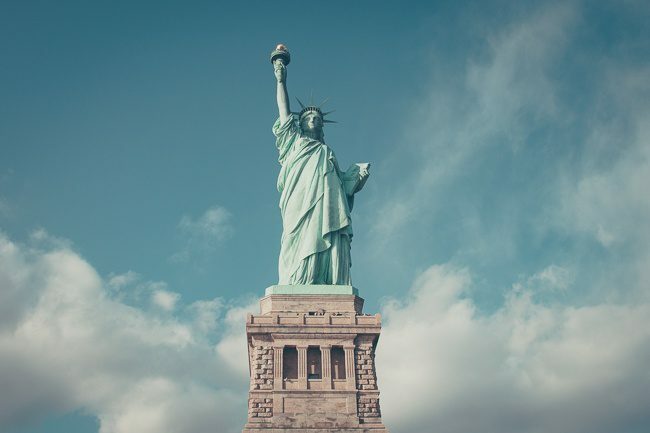 Looking at the Statue of Liberty and back at the skyscrapers in lower Manhattan, it’s hard to imagine a time when the Statue was the tallest structure in NYC! After getting back to Manhattan, we walked toward the Battery and learned more about the Dutch and Colonial Times in New York. Did you know New York City was originally named New Amsterdam after the first European settlers, the Dutch? Walking up the Canyon of Heros (think ticker-tape parades! ), New York’s history was on full display! From the Bull statue to the Fearless Girl statue, to the markers in the sidewalk commemorating past parades for dignitaries and Trinity Church with the grave of Alexander Hamilton, our New York Tour1 guide weaved together time periods and shared funny stories to teach us all he could about this incredible city. As we arrived at the 9/11 Memorial & Museum, all of us took time to stand by the reflecting pools and read some of the victims’ names. We took a moment to talk about the survivor tree and the overall redevelopment of the area. For those of you with the New York CityPASS, I highly recommend using your pass for the 9/11 Museum. As the tour came to an end nearby, I couldn’t believe how much ground, literally and figuratively, we had covered in just 6 short hours together. 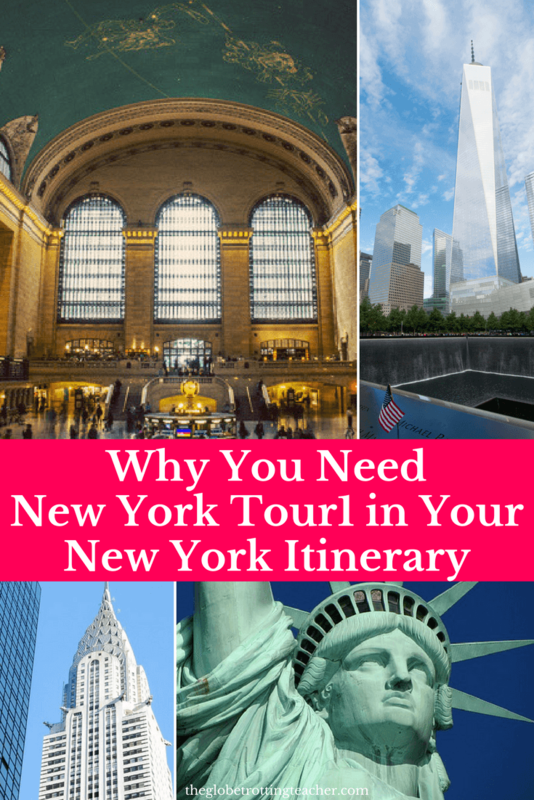 Truly, New York Tour1 has created a perfect itinerary! The guide maximized all our time together and yet we never felt rushed. There was enough time for breaks, photos, funny jokes, and a lot of New York City! 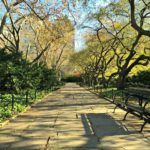 If you’re looking for an immersive full day NYC small group tour with an expert local guide passionate about this fantastic city, look no further than New York Tour1. 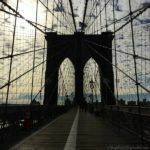 Would you add a New York Tour1 tour to your New York itinerary? Disclaimer: I was a guest of New York Tour1. As always, I’m committed to blogging with integrity and share my opinions honestly and openly. 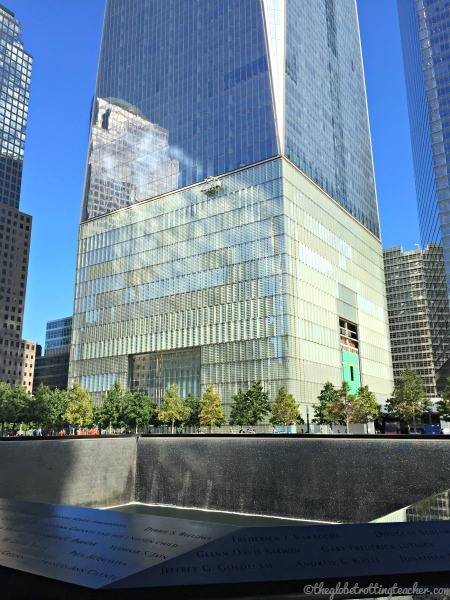 We (there are 2 senior citizens and 2 adults) have 3 days in NYC in March and have purchased the NewYork1 tours with the upgrade to the One World Tower based on your recommendation.. Is the New York City Pass also needed for significant savings? Thank you for your response.